The European Aquaculture Society (EAS) is an International Non-Profit Association that brings together individuals and companies in the sustainable development of European aquaculture – to develop contacts, share and disseminate information and promote multi-disciplinary research. The International Water Association (IWA) is a non-profit organization and knowledge hub for the water sector, with over 60 years experience connecting water professionals worldwide to find solutions to the world’s water challenges. 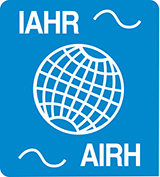 IAHR, the International Association of Hydraulic Engineering and Research is a worldwide independent organization of engineers and water specialists working in fields related to the hydro-environmental sciences and their practical. 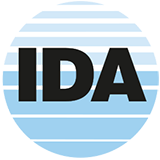 The International Desalination Association (IDA) is the world’s leading resource for information and professional development for the global desalination industry – and the only global association focused exclusively on desalination and water reuse technologies. International Foundation For Science (IFS) was founded as a Research Council and registered as a non-governmental organization (NGO) in Sweden in 1972. IFS receives funding from a portfolio of donors and funders including development organizations and science academies. The International Association of Aquatic and Marine Science Libraries and Information Centers (IAMSLIC) encompasses all aspects of aquatic and marine sciences and their allied disciplines. The association provides a forum to exchange and explore ideas and issues of mutual concern. The Arabic Union Catalog (AUC) is a collaboratively nonprofit project which mainly aims to establish a collaborative environment for the Arab libraries and to reduce the cost of cataloging Arabic information resources by sharing cataloging. Ecosystem Services Partnership (EPS), is a Worldwide network to enhance the science and practical application of ecosystem services. ESP connects over 3000 ecosystem services scientists, policymakers, and practitioners who work together in more than 40 Working Groups and a growing number of National Networks on all continents.